What is the place of emotions in worship? 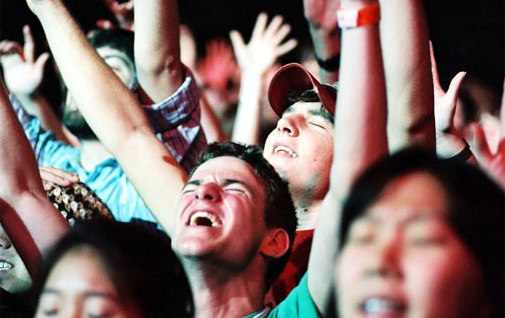 Should worship be an emotional experience? Can we trust our emotions? Questions such as these have caused considerable debate. The worship styles at different churches run the gamut from somber, highly structured liturgical services to the wild frenzy of some Pentecostal services to the carefully choreographed “worship experience” of some seeker driven churches. Some worship services leave you exhausted from the sheer overflow of emotion while others barely register a pulse. Is it just a matter of personal preference, or does the Bible provide some guidance as to the proper place of emotions in worship? What sort of worship service is pleasing to God? God created us as emotional beings. So part of loving God with our whole heart, soul, mind, and strength (Mk. 12:29-30) must include our emotions. In fact, emotions are an important part of any relationship. If a husband and wife had nothing more than a cold, intellectual love for one another we would rightly conclude that their marriage was not very healthy. If the husband said, “I have chosen to love you and I am committed to you, but I don’t have any particular feelings for you,” do you think that the wife would be satisfied? Would she even consider that love at all? Would God be satisfied with a merely intellectual love? In fact the Psalms are overflowing with emotion, including everything from ecstatic praise to mournful lament. David and the other writers of the Psalms got very emotional in their relationship with God. In the Old Testament there are seven national feasts and only one national fast. (Actually it is a bit more complicated than that, since some feasts were not instituted until after the exile, but this is the overall picture.) Considering the ratio between feasts and fasts, it would seem that God is in favor of celebration. Their worship included not only singing and playing instruments, but also shouting for joy (Ps. 98:4; Ps. 100:1) and even dancing (2 Sam. 6:14; Ps. 149:3). Indeed we have much to celebrate. Worship is all about praising God for who He is and what He has done. From the glimpses that the Bible gives us into heaven we discover that the main activity there is worship. Joy is the language of heaven. In our relationship with God there is certainly a place for pouring out our sorrows before Him, yet in the Psalms even the laments often turn to praise in the end. In heaven our sorrows will be swallowed up by joy, and worship is a foretaste of heaven. Most of us have a fear of being controlled by our emotions because we realize that our emotions can mislead us. Worship is not based on feelings, but on truth. We worship God because He is Worthy. We worship Him regardless of how we feel. We worship Him because He deserves it, not because it makes us feel a certain way. If you are worshipping God because you just love that “worshipful” feeling then you are worshipping for the wrong reason. But cold, unfeeling worship is just as bad. Worship devoid of feeling is not somehow more “pure” or spiritual. In fact it is less so. How can we stand and speak or sing of God’s greatness and His amazing love, and feel nothing? How can we not respond to His love by loving Him in return (1 Jn. 4:19)? Our worship needs to have a proper emotional response to God. What are some of the hindrances to worshipping God with all that we are? How can we move beyond cold, dull, repetitive worship? First you must meet the “prerequisites” for worship. In order to truly worship God, you must have a relationship with Him. Christian worship is not worship from a distance, but from within a relationship. In order to truly worship God you must be willing to bow down to Him in adoration and submission. It is impossible to worship God while you are in rebellion against Him. Once you have met the prerequisites for worship you can learn to worship God with your whole heart. Meditate deeply on the truth about God from Scripture. Then allow yourself to respond to His love with your feelings as well as your thoughts. If you are an “emotionally repressed” person learn to embrace your feelings as an essential part of how God made you. If you are a person who is easily excited be sure that you are not seeking an emotional high instead of genuinely worshipping God. Don’t worry about what others may think if you show a little enthusiasm in your worship. If you are self-conscious in your worship it shows that your focus is on yourself instead of God. Thanks, PK! I just had a conversation last week with a sister about “feeling” in relation to “faith”, and your sharing was certainly helpful! I am a North American Christian from an upper middle class evangelical church tradition. One of my roles is to assist with training church leaders in the developing world. I am struggling to understand the frenetic feelings on display when I visit churches in Central America, contrasting the way I was raised: to control my feelings. I know that middle-eastern David danced and stripped and that I have never felt anything akin to that during worship. Perhaps it will take time to adjust and understand cultural differences and I won’t ever address these issues with church leaders in Latin America. But, I can’t help but feel that there is a spirit of chanting and ranting/raving – pleading for the presence of the Holy Spirit. Sometimes I feel like I am watching people trying to drive out evil spirits around a fire. Does anybody have some Biblical wisdom on this topic? Thanks for stopping by. I think that you are asking the right questions. It is easy to import all our own assumptions into a situation in another culture, but we first need to understand the local people. But on the other hand there are Biblical absolutes which we must all follow. The trick is to figure out which is which. Perhaps we are a little too good at controlling our feelings, and have a difficult time fully expressing them in worship. But I think that Scripture is clear that worship is truth based, and that it should not be driven merely by emotion. Some of my other posts on worship address this issue. You can find them in the Worship category in the left sidebar. By the way, David did not dance naked before the Lord. That’s a common misconception. What the passage actually says is that he was wearing a “linen ephod” (2 Sam. 6:14) which was the same type of garment worn by all the Levites (1 Chron. 15:27). It was a sort of tunic, and was the normal garment of a priest (1 Sam 22:18). What he took off were his ornate kingly robes, so that he was dressed like a common priest. YES, I HAVE LEARNT A LOT ON EMOTIONS HERE. EMOTION IS A PART OF EVERYDAY LIFE. GOD HIMSELF HAS EMOTIONS. THIS WILL BE VERY HELPFUL TO OUR CHURCH TEENS ( COCIN YANTRAILER, JOS, PLATEAU STATE, NIGERIA). THANK YOU. Today we were reprimanded for worshiping God with our emotions. This article is very helpful since it explains that they are essential and legitimate but must be kept in balance, also a true worshiper must be a born-again believer in a right relationship with the Lord.